This June, Catholic Charities is excited to launch a new program to celebrate and recognize people who consistently answer the call of service through a monthly gift. We’d like to invite you to join our Partners in Hope - a group of like-minded, extraordinary individuals who help those who struggle every day to build a better life through dedicated support each month. Members of Partners in Hope demonstrate a consistent commitment to our community through action that ensures their gift to Catholic Charities will have a maximum impact on those who need it most! 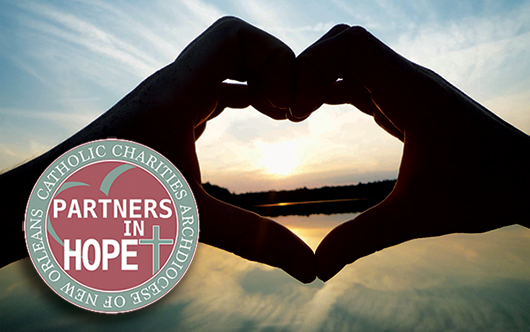 Partners in Hope support the many people served by Catholic Charities by making a monthly gift. It’s easy to do and at each giving level, there are special benefits! Amerigroup is partnering with Catholic Charities to provide hope and help for the homeless by supporting the Homeless Services of Catholic Charities. This past year, Amerigroup was the lead sponsor of our Head Start program, providing support for over 400 families served by Head Start, as well as providing health education initiatives for our families throughout the year. 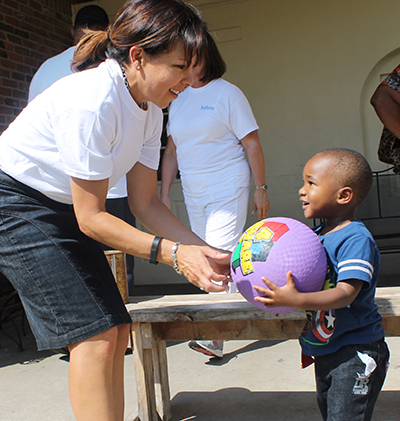 Amerigroup’s mantra is “We do well, by doing good” and they live out that mantra by aligning with programs of Catholic Charities that provide support for underserved individuals and communities. You know when you start seeing Shari Bernius from our Deaf Action Center on TV, hurricane season must be close! 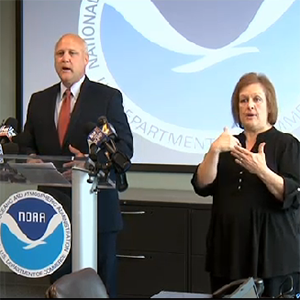 Shari provides ASL interpretation for important press conferences especially during hurricane season! The 2015 hurricane season is here! As the social service arm of the Catholic Church, Catholic Charities Archdiocese of New Orleans is the main disaster response agency of the archdiocese. We have been prepared by experience to meet the needs of the community in the aftermath of a disaster and to provide continued support and assistance in the often long recovery process. Please join us in praying for a quiet and safe 2015 hurricane season! 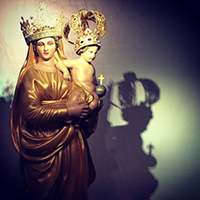 Our Father in Heaven, through the intercession of Our Lady of Prompt Succor, spare us during this hurricane season from all harm. Protect us and our homes from all disasters of nature. Students Send a Shower of Support for ACCESS Babies! The 5th -7th graders at St. Philip Neri School completed a 9-month spiritual adoption program under the guidance of religion teacher Suzanne Patin. At the conclusion, the classes held a baby shower to celebrate their babies' "birthday.” Baby items collected were donated to the moms and babies served by ACCESS Pregnancy. Thank you to St. Philip Neri students for sharing the blessings with our ACCESS moms and babies! 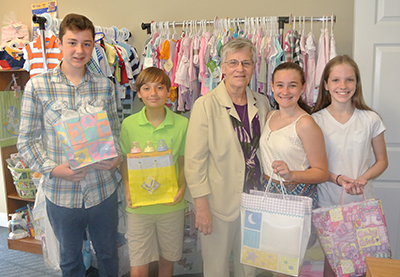 Pictured are St. Philip 7th grade students: Gabriel Wright, Wyatt Martin, Celeste Shonberg and Madison Blitch with Sr. Marjorie Hebert at the ACCESS Pregnancy and St. Vincent Maternity Clinic offices in Metairie.